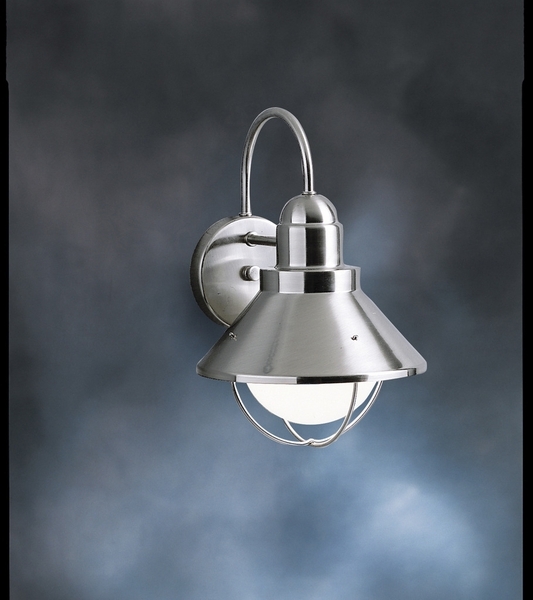 A modern style nautical wall lantern that is great for wet days and nights. Brushed nickel gives off a sleek look. Matching lights are available. UL listed for wet locations. Bulb: 150W Max. - Lamp width: 10.5" - Lamp height: 14.5" - Height from center of wall opening: 9"